We all complain at times. Key is that we don’t make complaining a habit. There are people who seem to complain about everything, even when they’re on vacation. Stay away from people who like to drive the BMW (blaming, moaning and whining). 😉 It’s contagious. 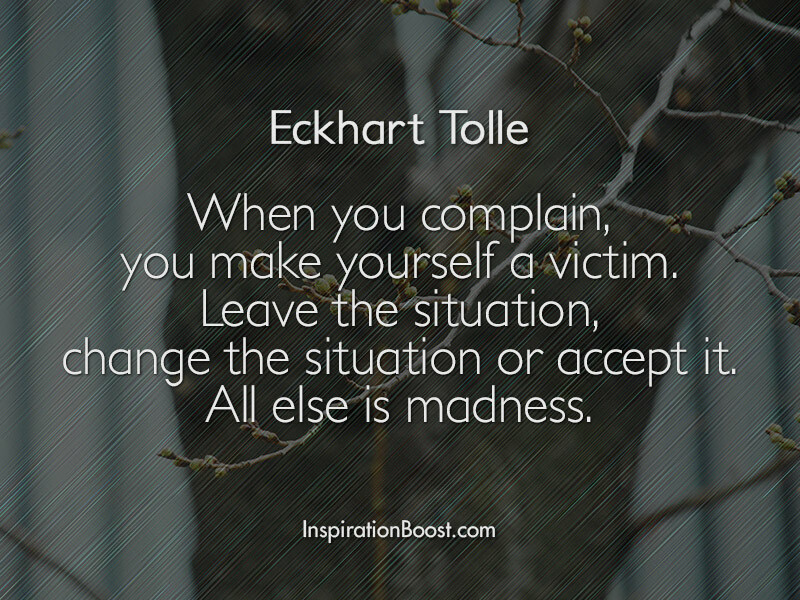 If you want to, you will always find reasons to complain. How does this help the situation? Why not count your blessings instead? It has been said that your energy flows where your attention goes.